1. 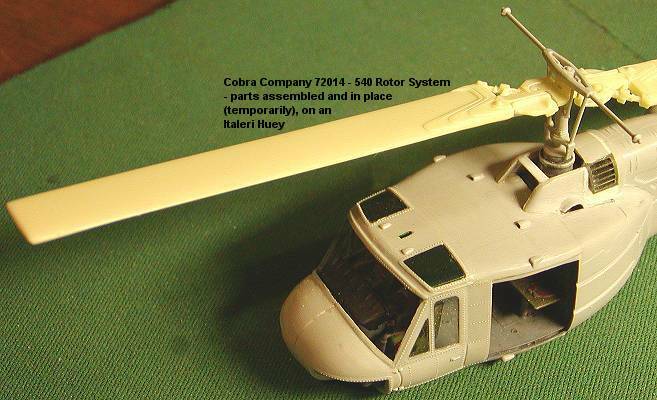 Cobra Company have released their 1:72 540 'door hinge' rotor system for the Italeri UH-1C and the Monogram AH-1G, item #72014. This set comprises two blades and a hub assembly that fits to the Italeri and Monogram rotorshafts. Work is nearing completion on an 1:35 AH-1W NTS upgrade set for the MRC/Academy/Italeri AH-1W, this will hopefully be available soon after the Two Bobs decal sheet for this aircraft. Mikerian Mercantile, a Canadian importer, are showing a number of built-up pictures of these two UH-1D kits, apparently taken from the sides of the boxes (though no figures are shown). On this evidence the only difference between them is in the decals provided, although the 'Wasps' aircraft is still being described as a gunship. If you have seen either of these kits (which are believed to be scaled up from the 1:48 Italeri kits) please let us know what you have observed. Also on the sheet are a selection of French P-47 Thunderbolts, and some Grumman Geese. 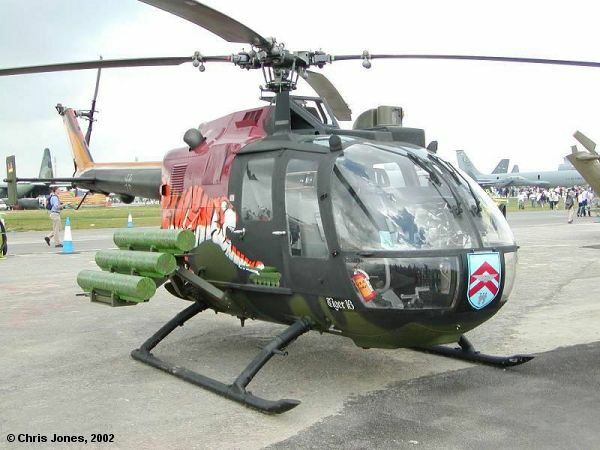 AS 555 Fennec with ALAT & Danish Army decals. The S-76 injection moulded kit is also progressing, and for late 2003 or early 2004 they are hoping to release the first Commando HC.4 kit. They are also working on the masters for a new Westland Scout / Wasp. BR-813 1:72 'Albanian Air Force 1992-2000' includes a pair of serials for the Alouette III ZA-XHP. BR-602 '1:48 Mongolian Air Force 1940-94' includes the Mi-8 white 3194 and the Mi-24D yellow 02, with a serial and a Mongolian red star 'roundel' for each side of each machine. 9. 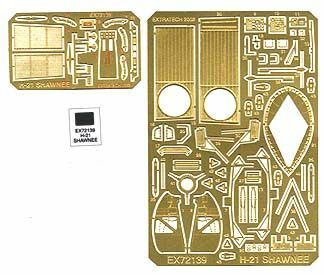 ExtraTech have issued an etched brass detail set, #72139, for the 1:72 Italeri H-21 Shawnee. Eduard say that "the 1:48th AH-64A Apache set has probably the most detailed dashboard ever seen on any of our projects". 11. 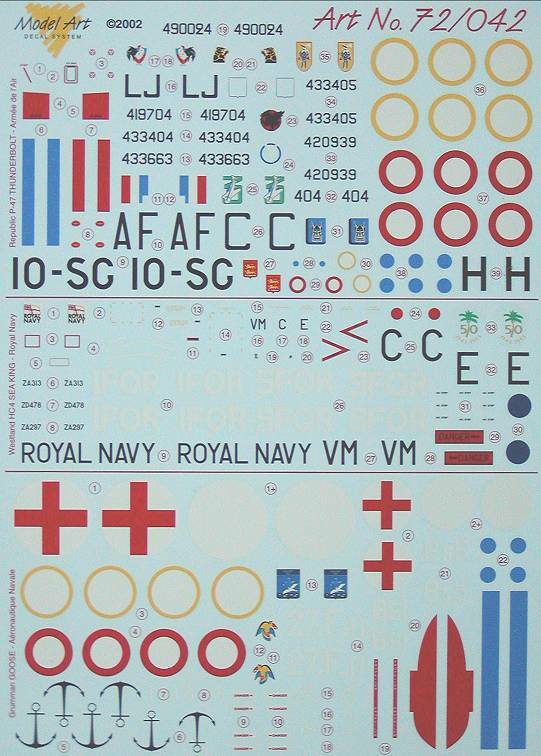 Airwaves plan to release a Sea King HAS.2 / HAS.5 / HAR 3 resin and brass conversion for the Hasegawa / Revell 1:48 SH-3 kits. This will be #SC48106, and is expected to be available for Scale ModelWorld 2002 in November. Also from Airwaves will be #SC48108, the Royal Navy Mk.11 Airborne Droppable Depth Charge, for use with the 1:48 Sea King. 13. 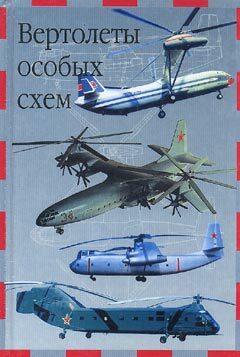 Aviapress are advertising a new Russian book, the title of which appears to translate as 'Exotic Helicopter Schemes'. This appears to concentrate on Russian experimental and prototype helicopters and rotorcraft, though it remains to be seen whether any of the content is new. 14. Kits Discount are publishing a book on the SH-60 Seahawk, this English & French language publication should be available around the end of October and will have 40 colour pages including the SH-60B, SH-60F, and HH-60H. 15. Published by Airlife, 'US Special Operations Command in Action' by Patrick Allen has 150 colour photographs, many of them showing US Special Ops helicopters. 16. The most recent issue of the IPMS Swedish SIG newsletter includes a very comprehensive article on the history of marking schemes carried by the KV-107 HKp 4. This includes content and drawings from the Swedish publication Allt om Hobby, as well as new material from a variety of other sources, including colour photos. For more details contact Ted Burnett. Thanks to Chris Miller (Cobra Company), Philippe Dognon (Kits Discount), Tony Morgan, Gary Madgwick (Model Alliance), Jean-Pierre Desprez (Model Art), Ted Burnett, and 'Dave R'.